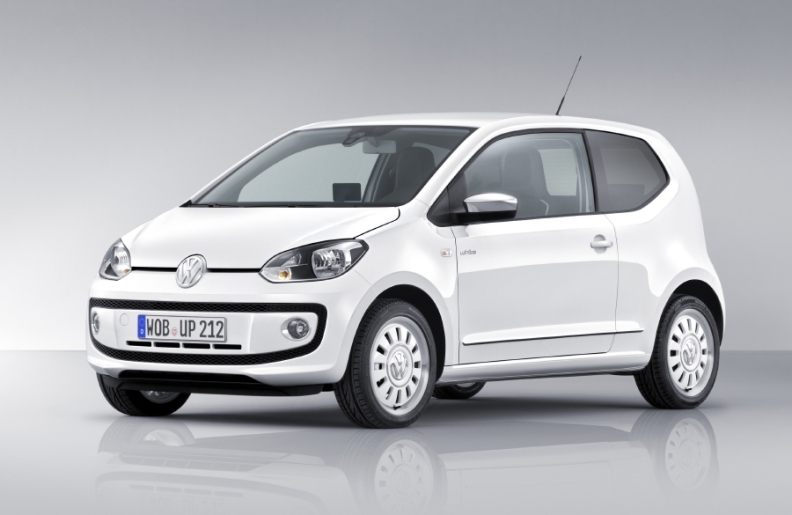 VW's Slovakia plan expects output to reach 400,000 this year because of the addition of the VW Up. BRATISLAVA -- Volkswagen Group is keeping to its target of almost doubling production at its Slovak factory to more than 400,000 vehicles as output of the new VW Up minicar should outweigh the euro-area slowdown, the unit's CEO, Albrecht Reimold, said. The factory in Bratislava, the Slovak capital, assembled 210,441 cars last year, compared with 144,510 in 2010, Reimold told reporters Tuesday. SUVs such as the Volkswagen Touareg and its sister model, the Audi Q7, accounted for 93 percent of shipments. The planned increase in volume is due mainly to the addition of the VW Up, Seat Mii and Skoda Citigo minicars. Serial production of the sister models started in Bratislava in the second half of 2011. Europe's largest carmaker is boosting output in Slovakia, seeking to benefit from the country's euro adoption combined with lower labor costs than in western Europe. "We will stick to our goal," Reimold said. "I am absolutely sure that we achieve it." European car sales dropped 6 percent in January to 1 million vehicles as consumers bought less as the euro-region's economy shrank, according to industry association ACEA. Volkswagen's European sales declined 1 percent in January. Volkswagen in Bratislava also makes bodies for Porsche Cayenne SUV.